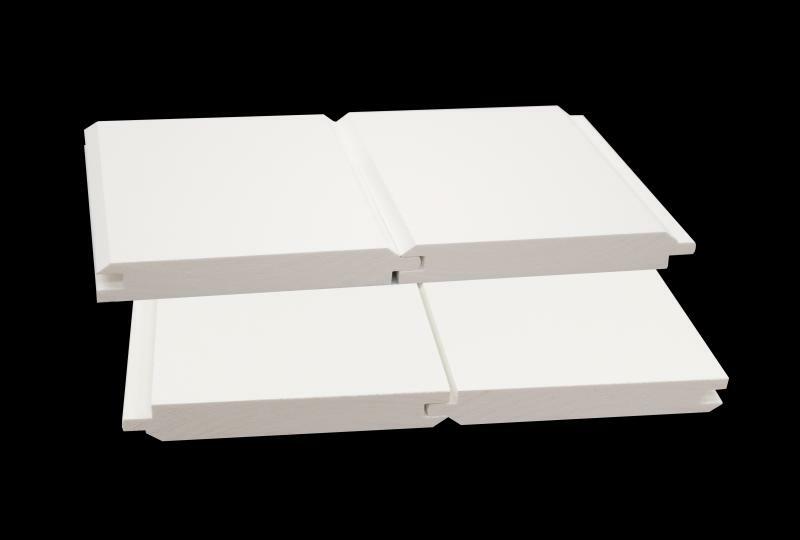 Pittsburgh-based Versatex Building Products has introduced a new collection of cellular PVC shiplap and nickel-gap boards for siding, interior walls, and ceilings. The shiplap profiles are available in 1-inch-by-6-inch and 1-inch-by-8-inch psizes with one leg at 5/8 inches and the other at a 1/2 inch for a ready-made 1/8-inch gap. Moreover, the company says the reversible WP4 nominal 1-inch-by-6-inch profile retains the industry-standard V-groove effect on one side but now features a nickel-gap option on the reverse. “Both shiplap and nickel-gap styles have been gaining major traction for new construction as well as remodeling projects,” Kapres says, adding that both profiles have long been associated with rustic and cottage-style designs but have been gaining traction among design-conscious consumers. All of the company’s profiles are sold in 18-foot lengths that can span up to 24 inches on center in ceiling applications. The company says they are equally suitable for horizontal and vertical orientation on walls. See more shiplap news from Products Magazine here. Where can I purchase your nickel-gap shiplap PVC product in the 06001 area?